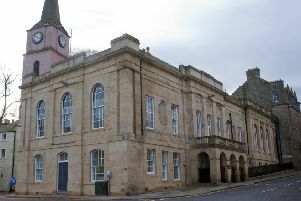 A man has appeared at Selkirk Sheriff Court accused of being in possession of a knife and struggling with police. It follows an incident on Saturday, October 3. Twenty-one-year old Steven Gorman faces a total of three charges including breach of the peace. He made no plea or declaration and the case was continued for further examination. Gorman was granted bail by Sheriff Peter Paterson.